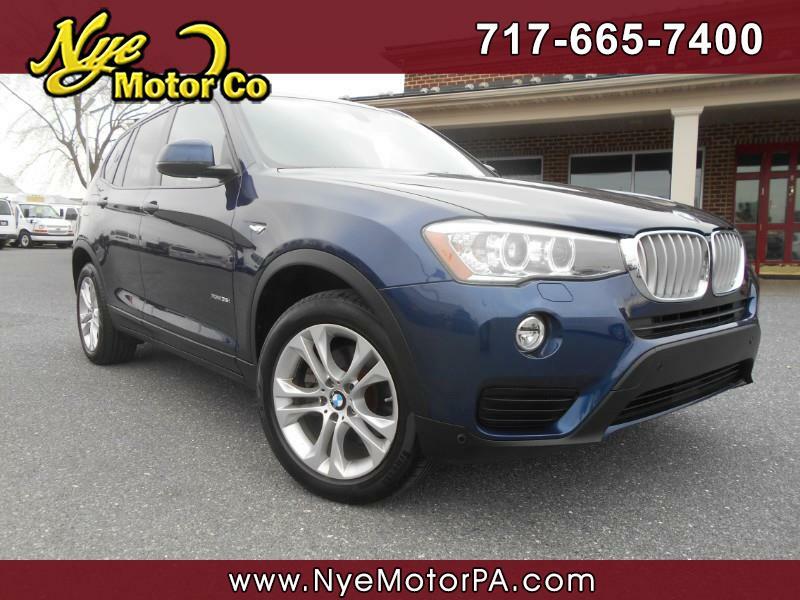 Used 2015 BMW X3 xDrive35i for Sale in Manheim PA 17545 Nye Motor Co.
****THE ULTIMATE DRIVING MACHINE****ALL WHEEL DRIVE****HARD TO FIND BLUE WITH SADDLE INTERIOR****ABSOLUTELY MUST SEE & DRIVE****Fantastic 2015 BMW X3 35I AWD with only 59K miles! Loaded up with Power Sunroof, Heated Front & Rear Seats, Push Button Start, Hill Descent Control, Park Assist, Back Up Cam, Dual Climate Control, Sync, Aux Line In, USB, Power Memory Seat, Steering Wheel Mounted Controls, Harmon/Kardon Sound, and More! Under the hood, you will find a finely tuned 3.0L, 6-cylinder twin tubo powered engine paired to a smooth shifting automatic transmission. Call today to schedule your test drive.